Do you wanna build a Cas-tle? ‘Cuz I sure do! These Disney LEGO Sets are fabulous and full of detail, just as you imagine they would be. 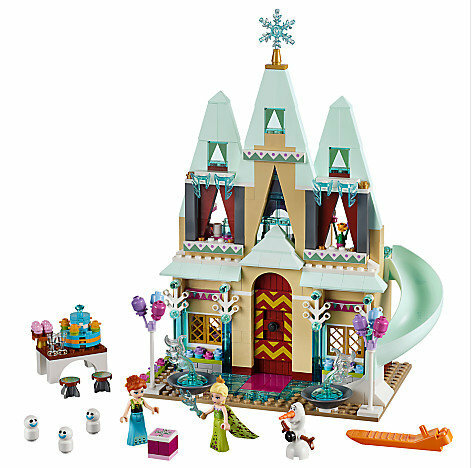 And this Arendelle Castle one is the cutest! This one is from Frozen Fever, so it features Olaf and the Snowgies, as well as Anna and Elsa in their party dresses! And you know the best thing ever? Disney Store’s running an online sale right this second where you can get 25% off EVERYTHING, including LEGO sets. It’s the perfect time to stock up for Christmas! Just enter code DISNEYPAL at checkout! Cute! But I’m all about the new Cinderella Castle Lego set. I love Legos!